A vigorous flowing style of yoga. It is Jala’s signature style. Strictly, the word Vinyasa means “breath-synchronized movement.” In a vinyasa class the teacher will instruct you to move from one pose to the next on an inhale or an exhale. This technique is sometimes also called Vinyasa Flow, or just Flow because of the smooth way that the poses run together and become like a dance. The style allows for a lot of variety, but will almost certainly include Sun Salutations: expect movement, not just stretching. By heating the room to 80-90 degrees the muscles are able to open and relax more deeply. The muscles, tendons, and ligaments become soft and more flexible. The heat promotes sweating which is a method of cleansing to aid in the healing aspects of this style. Hot classes are further heated for deeper mental and physical detoxification and challenge. A vinyasa flow with additional emphasis on the yoga practices of chanting and meditation to learn to connect to the heart and calm the mind. There is a focus of the month, a topic that is discussed to assist the practice of yoga to become part of life itself. 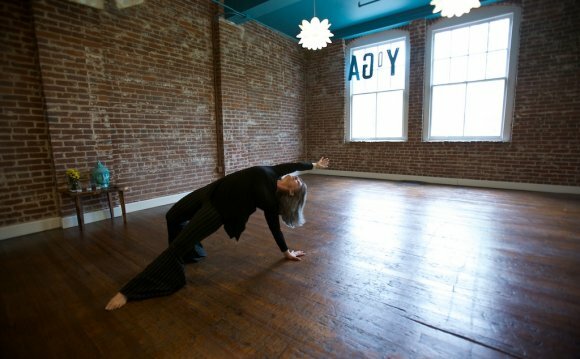 Prana Flow® is an energetic, creative, full-spectrum approach to embodying the flow of yoga cultivated by Shiva Rea. Students of all levels are empowered to experience prana – the universal source of breath, life-energy, and conscious intelligence – as the navigating source of yoga practice and vital living. A vinyasa flow in the beginning to warm the body and focus the mind. Restorative and longer holds at the end to continue to challenge yet slow down and be present with stillness.